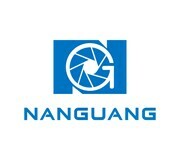 NanGuang CN-100F adopts the professional COB bulb, with high brightness and lower power consumption. It’s a very professional and high-end studio lighting, which is with standard color temperature 5600k, CRI Ra:95, no fans, passive air cooling design without noise. Suitable for television studio, interview, talk show, photo studio, outdoor shooting etc. 1. With built-in 2.4G remote control receiver, it can work with the wifi-2.4G transfer device to control the light by mobile APP or 2.4G remote controller. 2. No fan no noise, available for DMX control, with digital display to show the address code and brightness. It can achieve outdoor shooting by working with external battery box. 3. With acrylic lens, high light transmission, can meet the user’s requirement of high brightness, support the focusing and flooding angle from 10°to 55°. 4. Removable lens, could be replaced with the soft box or soft umbrella. 5. With color filters 3200K/4000K/4800K and barndoor, more optional choice for diffuser hood/Bowen mount/soft box/soft umbrella.